Istanbul seems to be an ideal destination for a longer weekend. It is the largest city in Turkey, spreading on both shores of the Bosporus, on two continents – Europe and Asia. Actually almost everything in Istanbul, from architecture, culture, religion to cuisine, is a mix between european and arabic origin. There are catholic churches, orthodox basilicas and islamic mosques close to each other. The largest of them, Hagia Sophia, served as an orthodox basilica, catholic church and an islamic mosque. Of course, each in a different time period. Istanbul stands where the former village of Byzantion used to be. It has been rebuilt by roman emperor Constantine the Great between 324 and 330 AD and renamed to Constantinople. It had been the capital of the Eastern Roman Empire until it was defeated by Ottoman Turks in 1453. Then, the city became the capital of the Ottoman Empire, which existed until 1923. It has been renamed to Istanbul by the first Turkish president Mustapha Kemal Ataturk in 1930. 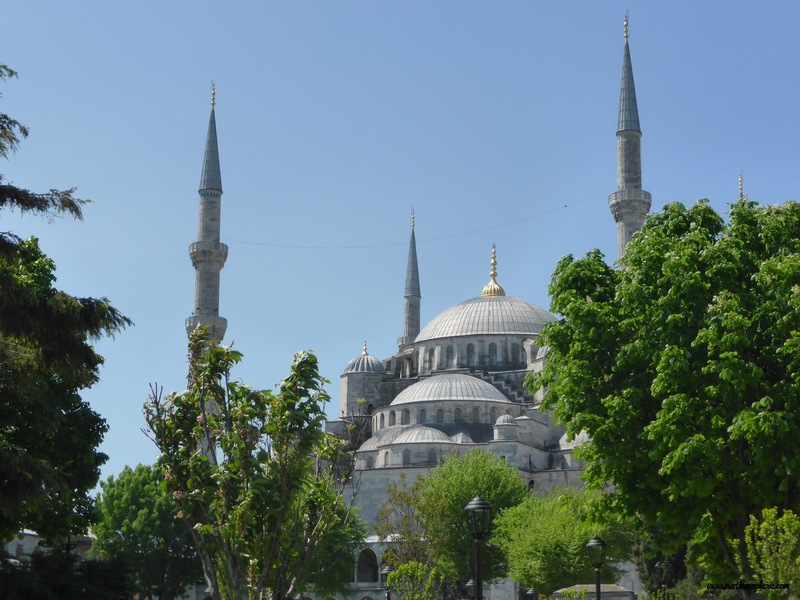 I would certainly recommend a walk in Sultanahmet, the quarter around Hagia Sophia, which stands on the northern side of a large central square. My most favourite place is Basilica Cistern, an underground water reservoir with many pillars and two sculptures of the head of Medusa, tilted to 90° and 180° to negate her damaging sight. The cistern, to the northwest of the square, is easy to miss as most of it is underground. Just follow the long line of tourists waiting to buy entry tickets in a small two window house under a park. On the southern end of the square, opposite Hagia Sophia (which also should not be left out of your to-visit list), stands the Blue Mosque. This is a simplified name of the Sultanahmet Mosque, referring to the colour of the tiles indoors. It is worth entering this mosque, while respecting the prayer times and the dress code. About a 20-min walk uphill to the west from the same square will lead you to the Grand Bazaar. There you can buy some clothes, scarves, pottery or other things. I would recommend you to haggle the price, as this is one of the last places where it is still expected. More to the north, behind Hagia Sophia, there is the Topkapi palace, the old seat of the sultan and his family. There are several courtyards, museums and the Harem, where sultan’s family lived. The place also offers stunning views on the city, the Golden Horn and the Bosporus. Continuing further north, crossing the Galata bridge and uphill you will reach the historical Galata tower offering a cafe and amazing 360° views of the city as well as, at the right time of the day, beautiful sunset. The tower was recently refurbished with two elevators, so no need to climb the stairs anymore. Behind the hill with the Galata tower, Istiklal Caddesi (Independence Avenue) can lead you to the Taksim square. The street and the square are often mentioned as centers for demonstrations, but this long street is also full of shops and embassies. Two historic “nostalgia” trams (built in 1913 and 1928) run along the street with a few stops. Plenty of cafes, tea rooms and shops with traditional Turkish sweets like baklava and lukoum are everywhere in the narrow streets of the Istanbul old centre. Guests are enjoying a cup of Turkish tea or coffee and some sweets, watching the busy streets, full of tourists hurrying to make it to their next stop or ordinary people running towards trams or metro. Finally, a boat trip on the Bosporus is a must see. Sailing under the two bridges connecting the European and the Asian side of the city you will see a lot of interesting houses, mosques, palaces and other places on both shores of the Bosporus. Following the advice of Erlend Geerts, the Şehir Hatları’s, Istanbul’s official ferry company, Short Circle Bosphorus Cruise was amazing.